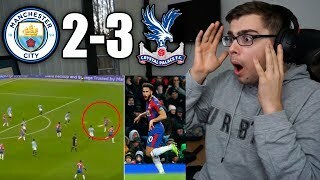 LEICESTER VS CRYSTAL PALACE | 1-4 | ABSOLUTE SHAMBLES!!! 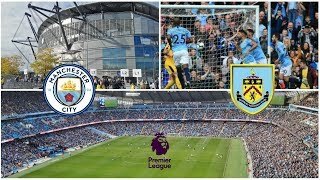 Man City v Burnley! 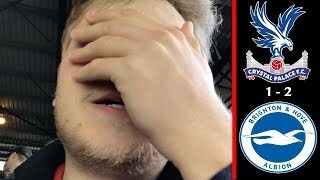 THE VLOG OF PAIN! 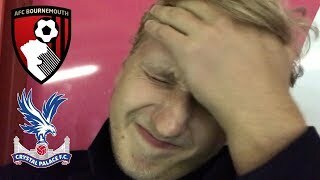 VLOGUL DURERII! 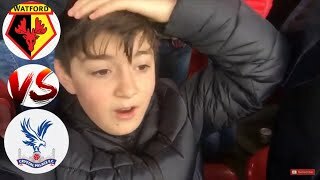 MATCHDAY VLOG #23: Crystal Palace v Southampton | WHAT ARE WE DOING?!?! 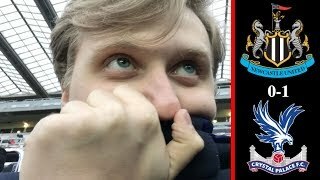 After a poor performance midweek against Spurs, a better showing is crucial today against Newcastle. COMMENT YOUR THOUGHTS BELOW! 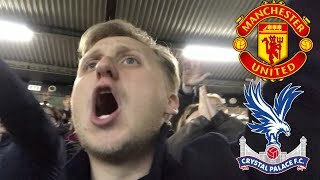 MATCHDAY VLOG #32: Manchester United vs Crystal Palace | FANTASTIC AWAY PERFORMANCE!! 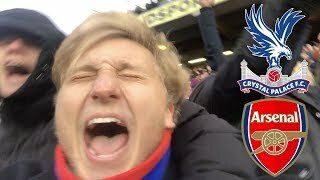 Big game against Leicester today. 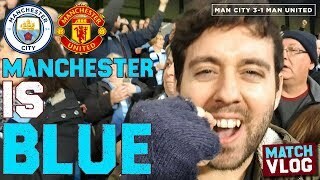 A win will see us move 6 points clear of the drop. COMMENT YOUR THOUGHTS BELOW! 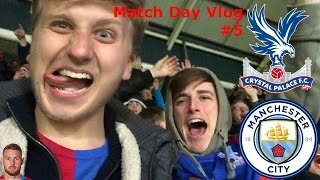 MATCHDAY VLOG #33: Crystal Palace vs Burnley | THERE'S A STAR MAN PLAYING ON THE RIGHT!! 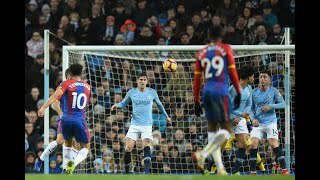 A must win today at Selhurst Park, especially with our big game against Brighton on Tuesday... COMMENT YOUR THOUGHTS BELOW! 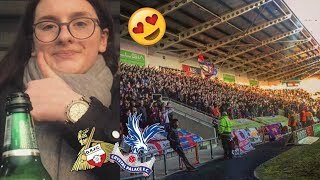 MATCHDAY VLOG #40: Crystal Palace vs Manchester Utd | WHAT A GREAT OPPORTUNITY! 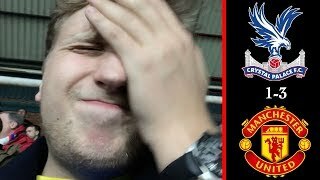 A great chance to finally beat United, with 12 injuries to the first team squad. COMMENT YOUR THOUGHTS BELOW! 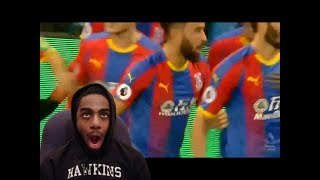 MATCHDAY VLOG #34: West Ham vs Crystal Palace | REACTION?!... WHAT REACTION!?! 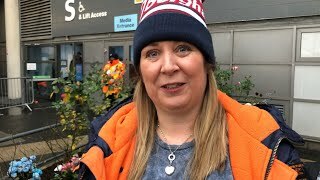 So important that we put in a strong performance for the badge today, to make up for Tuesday. Yeahhhh about that... COMMENT YOUR THOUGHTS BELOW! 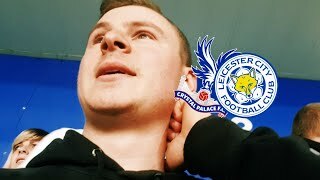 MATCHDAY VLOG #35: Crystal Palace vs Leicester City | HE COMES FROM SERBIA!!!! 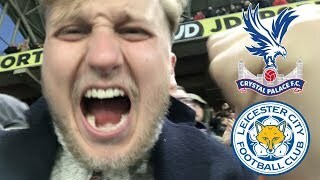 A massive game for both Palace and Roy Hodgson, a win could see us move 5 points clear of the drop... COMMENT YOUR THOUGHTS BELOW! 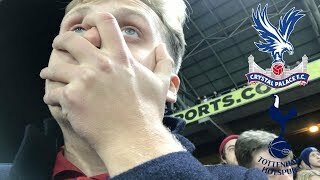 MATCHDAY VLOG #41: Crystal Palace vs B••••••• | UNFORGIVEABLE!! 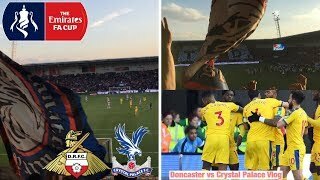 “ELECTRIC ATMOSPHERE” - DONCASTER ROVERS (0) vs (2) CRYSTAL PALACE *VLOG* - NO UPSET IN DONCASTER! 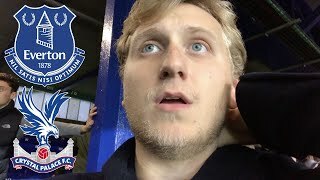 MATCHDAY VLOG #28: Everton v Crystal Palace | ROY IS ALLERGIC TO SUBSTITUTIONS!! 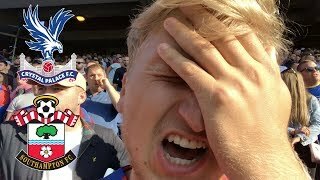 Gutted! That's all I can say! 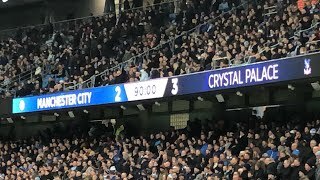 A much better performance today imo, but a lack of chances and the missed penalty cost us. COMMENT YOUR THOUGHTS BELOW! 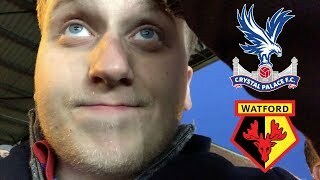 MATCHDAY VLOG #31: Crystal Palace v Spurs | DEFENDING?!?!? 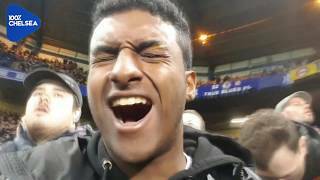 | SELHURST ATMOSPHERE BACK! 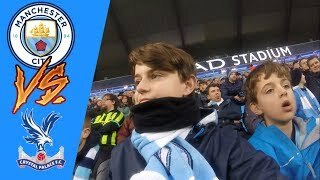 MAN CITY 3-1 MAN UNITED VLOG | MANCHESTER IS BLUE! 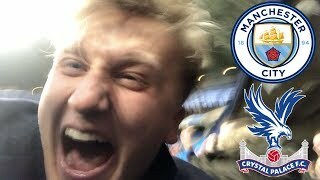 An incredible day at the Etihad as Pep Guardiola's Manchester City teach Jose Mourinho's Manchester United a footballing lesson in the Manchester derby. 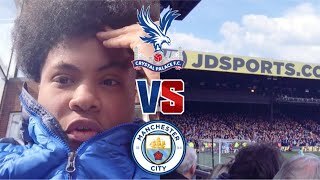 PREMIER LEAGUE MATCHDAY VLOG #5: Crystal Palace v Manchester City | DEFEND FOR OUR LIVES!! 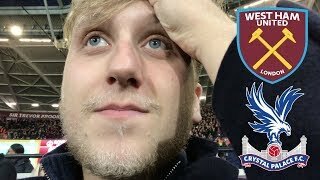 MATCHDAY VLOG #38: Crystal Palace vs West Ham | WHAT A SECOND HALF! 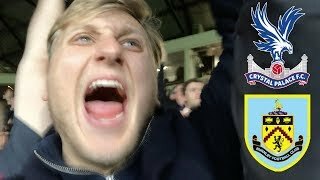 MATCHDAY VLOG #26: Bournemouth v Crystal Palace | MONDAY NIGHT MADNESS!! Monday Night Football. 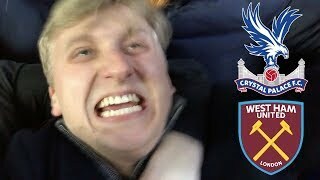 Big game for both sides, a win could see Palace move into the top 10 above Man Utd. COMMENT YOUR THOUGHTS BELOW! 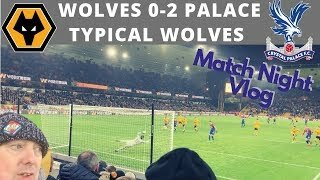 MATCHDAY VLOG #29: Crystal Palace v Arsenal | FIRST GOALS AT SELHURST THIS SEASON!! 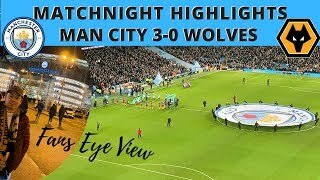 WHAT A GAME!! 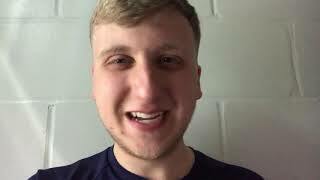 Can we smash 20 likes ? ©2018 by naked girl in walmart. All Right Reserved.